Thed Bjork gave the new Lynk & Co 03 car its first victory in a hectic final 23-lap World Touring Car Cup race of the season-opening Marrakesh weekend as teammate Yvan Muller retired from the lead with a car failure. 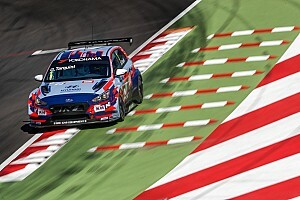 But although Bjork assumed the points lead with victory, Cyan Racing was denied a one-two finish with its new WTCR challenger when early leader Yvan Muller slowed. Strong getaways from Muller and Bjork allowed both to jump the polesitting Comtoyou Audi of Frederic Vervisch on the run to the first corner, before the race was neutralised by a safety car period when Tiago Monteiro and Yann Ehrlacher collided. Monteiro had failed to get by Vervisch on the outside at the first corner, and his KCMG Honda Civic Type R was tapped by the Cupra of Mikel Azcona - who subsequently made it past the Honda at Turn 3. That overtake allowed Munnich Motorsport Honda driver Esteban Guerrieri to have a look at passing Monteiro and, although the Portuguese held the spot by virtue of cutting the Turn 4/5 chicane, Guerrieri had sight of fifth on the inside line approaching Turn 7. Monteiro then appeared to get on the brakes early before the left-hander, which allowed the third Lynk & Co 03 of Ehrlacher the chance to pounce. 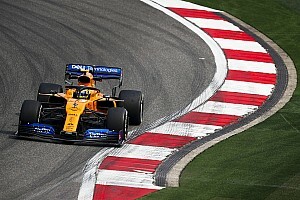 Ehrlacher had better speed than either of the Hondas approaching the braking zone, but he could not clear the two cars before turning in and - coming across the front of Monteiro's Civic. That threw Ehrlacher off into the barrier, with the Lynk & Co collecting Monteiro's car as it bounced back onto the track. Four laps were spent behind the safety car before racing resumed on lap six, with Muller restarting a second clear of his teammate. Bjork held station in second in the first laps after the restart but came under intense pressure from Vervisch, with Azcona keeping the pair in sight. That pressure appeared to have relented, but come the start of lap 14 Bjork - with Vervisch and Azcona in tow - was right on Muller's tail, and on the following lap the lead Lynk & Co slowed exiting the first corner, reporting "something is broken". 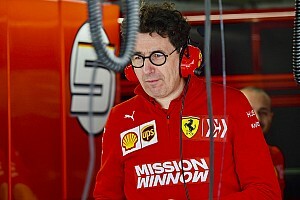 Muller immediately dropped to fourth, but had plummeted to the tail of the order by the time he brought the car back to the pits. Bjork was gifted the lead as a result and, although he was unable to shake his pursuers, was guaranteed victory late on when the WRT Audi RS3 LMS of Jean-Karl Vernay went off at speed approaching the penultimate corner. 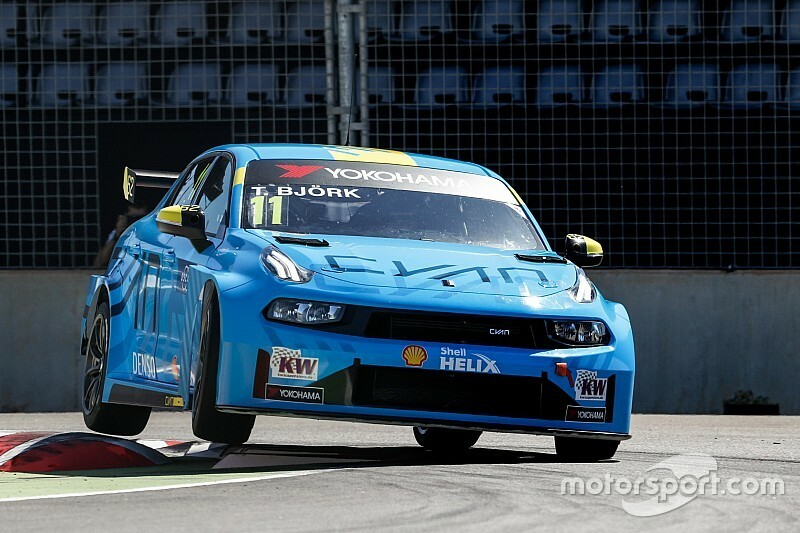 With Vernay's car - which appeared to suffer a brake failure - stranded in the runoff area, the safety car was called for a second time and only returned to the pits on the final lap, handing 2017 World Touring Car champion Bjork victory ahead of Vervisch. Reigning TCR Europe winner Azcona was a brilliant third on his and the PWR team's first weekend in WTCR, with Guerrieri escaping the first-lap incident and enjoying a trouble-free race thereafter to secure fourth. Race two winner Gabriele Tarquini finished fifth ahead of the second Munnich Motorsport Civic of Nestor Girolami, while Gordon Shedden ensured WRT salvaged decent points with a strong run to seventh. The second BRC Hyundai of Norbert Michelisz, Ma Qing Hua's Team Mulsanne Alfa Romeo Giulietta Veloce and Azcona's PWR team-mate Daniel Haglof completed the top 10. Hungarian teenager Attila Tassi rose from 22nd on the grid to finish 11th, ahead of Moroccan racer Mehdi Bennani, World Touring Car returnee Andy Priaulx, Comtoyou Cupra driver Tom Coronel and Rob Huff (Sebastien Loeb Racing Volkswagen).